The notorious ants of St. Paul steal your food, excavate a colony in your walls, and love to stay warm during the winter in your home. They’re irritating. They’re disgusting. They damage your home and health. Carpenter Ants, outside the home, typically reside in rotting logs. Unlike termites, they only carve out the wood to make room for their growing colony. They don’t stick to just one residence; they travel between satellite colonies. They eat honey dew, insects, and even animal carcasses. Inside the home, they will dwell in any water damaged area, but because satellite colonies don’t house eggs (which need moisture) they can stay in dry areas of your home, such as hollow doors and insulation. If left unchecked, they will cause significant damage. Thief Ants are known for their greed and tiny size (1/16 inches long). They steal other ants eggs, but they also love eating your greasy leftovers, such as cheese and meat. Because of their size, they can get into about everything—even packaged food. They love to reside in your foundation and your walls. Pharaoh Ants gain their name because they originate from Africa. Almost as small as the thief ant, they can live anywhere in your house. As long as it’s warm (about 80 degrees) and moist (about 80% humidity) pharaoh ants will even stay between sheets and between books. They’ll reside in stored clothing, in walls, and in potted plants. They love sweets such as jelly and honey. But they will also eat greasy foods like bacon and butter. Ants can be difficult to locate and to extinguish. Because of sheer size (and satellite colonies), store-bought ant bait is only going to kill a proportion of the colony. 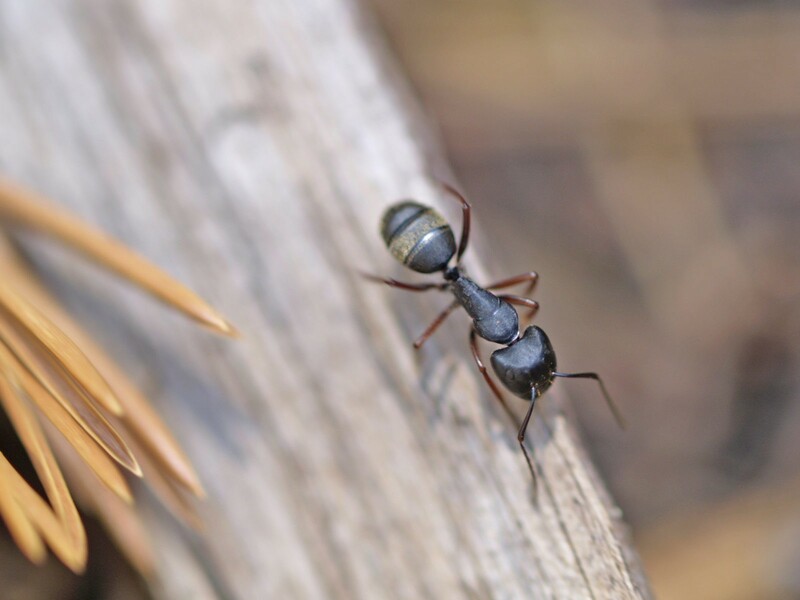 A professional will be able to help you locate and evict your household ants.